Double the capacity of your clothing racks with this add-on ring! 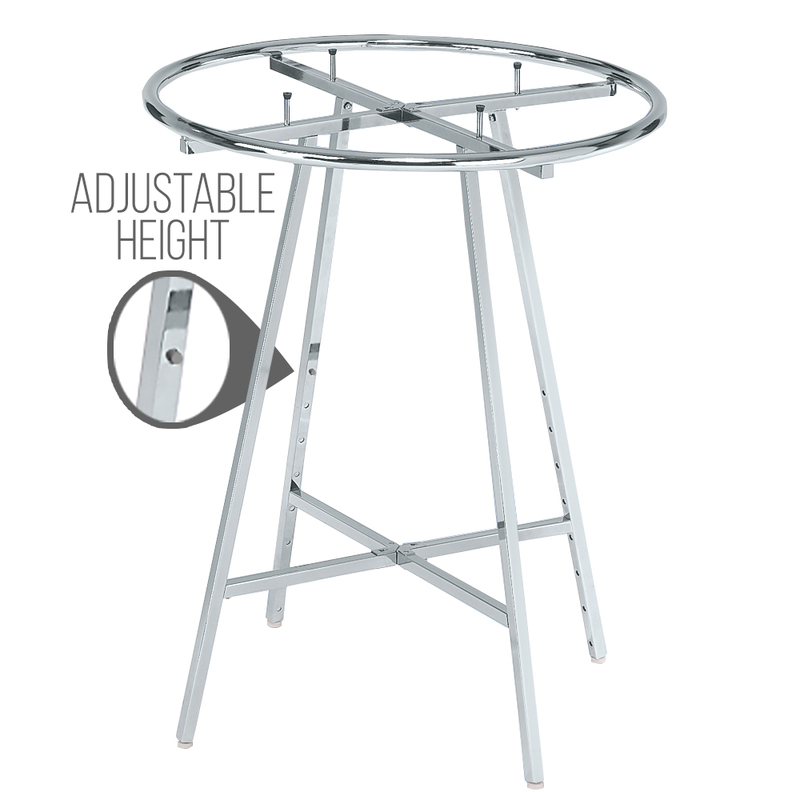 Heavy-duty Chrome add-on ring fits our #2465 Round Apparel rack with optional toppers to create the perfect display. Toppers available in Wire, Glass or Melamine, search Round Clothing Rack toppers. 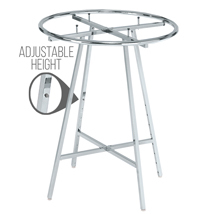 36" Round Apparel Rack #2465 sold separately. Check out our YouTube video for easy assembly. For more options, we invite you to take the time to browse our extensive collection of retail clothing racks for sale at Specialty Store Services today.